Love you too. 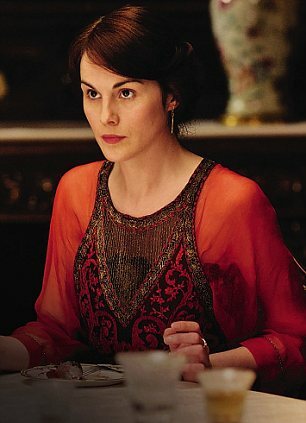 Can’t wait for downton abbey tonight! Maggie Smith is a luminary. I could watch her in a reading of wiki entries on bugs! Gotta say, that man, he’s all romance, baby. Really knows how to smooth-talk (or in this case, smooth-text) his lady. Manfrengensen didn’t watch Season 1, but he has quickly caught on for Season 2. And of course, Maggie Smith is The Bomb. 1) The Burned Soldier – long lost cousin/true love of Lady Edith shows up claiming to be the heir, but how can this be proved when Patrick Crawley is supposed to have died on the Titanic? Why hasn’t he come forward earlier? Amnesia. Amnesia? Of course, it’s a real thing, lord knows people suffer amnesia all the time, but you have to admit, it’s also quite the convenient plot device. Did you see this dress?? To die for. 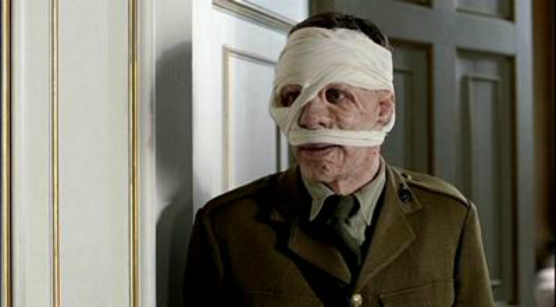 2) Mrs. Bates is Dead – Mr. Bates has a curious cut on his temple. Will suspicion be cast upon him? Do I see a trial in his future to prove what has surely got to be the inevitable innocence of so empathetic (though still a little shady) a character? Perhaps, but I hope not. 3) Matthew is in a wheelchair – So noble, he won’t allow any woman near him out of his duty to their inevitable futures as breeders and loving spouses. He feels he has nothing to offer them without his body. Both Mary and Livinia love him desperately, but he’s dead inside…but wait…did he just feel something below the waist? We’ll just have to wait and see. No matter, like many fans, I can’t wait for next week’s installment and am sure to suffer withdrawl when the season ends February 19th. Fabulous costumes. How I wish we ladies still dressed like this.